Tea-education: Types of tea | Literary Tea Co.
Camellia sinensis is the amazing plant that we can thank for all types of tea. Whether you are into green tea, white tea, oolong, Darjeeling, English breakfast, or earl grey – they call come from the camellia sinensis plant. 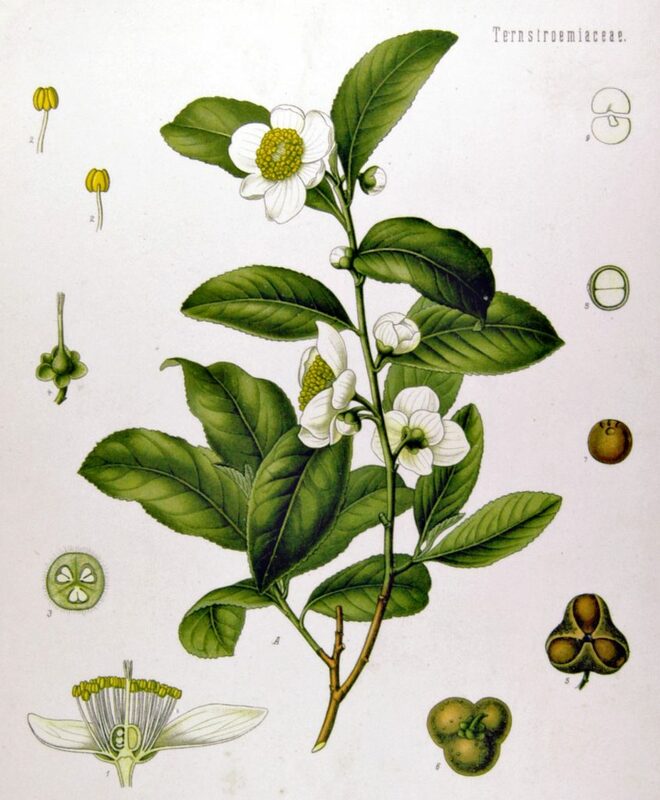 The leaves of the camellia sinensis plant are about 5-10cm long and grow in an oval shape with a pointy tip. They are coloured in a deep green and the plant also sprouts little white flowers. How can one plant make so many different teas? The differences lie in the processing. By processing the leaves in different ways, you will get different types of tea. The types of processing tea leaves go through are rolling, withering, roasting, steaming, firing and oxidisation. This is the least processed of all the teas – which is why it is known to have the most antioxidants. White tea is made from newly opened leaves. It is simply plucked and allowed to wither and dry. There is no heating or oxidisation. Green tea is also plucked and dried but it is also steamed or pan fried. It doesn’t go on to be oxidised though. That is the end of its processing so it still maintains a high level of antioxidants. I like to think of Oolong like a love child between green and black tea. It falls somewhere in the middle. It goes through the same processing as green tea and then begins oxidisation. The oxidisation process is stopped midway, before it turns to black tea. Unlike the other teas, black teas go through the entire processing system. It isn’t complete until the end of the oxidisation or fermenting process. Due to the level of processing that black tea goes through, it has the least amount of antioxidants. What about herbal or fruit tea? Herbal or fruit teas aren’t actually teas at all – they’re tisanes. Tea can only be called tea if it derives from the tea plant, the camellia sinensis. If it doesn’t have any actual tea leave in it then it’s a tisane. We think it’s pretty incredible that so many of flavours and bodies can come from the one, very clever, plant! All hail the Camellia Sinensis! © 2016 LiteraryTea. Website by Polinet. Love at First Site. We have sold OUT in the Christmas Rush! All orders placed from 20th December to 2nd Jan will be shipped out from the week ending 5th January. From all of us here at Literary Tea Co, thank you for supporting us throughout 2017. We hope you have a VERY Merry Christmas, and a Happy New Year. See you in 2018! 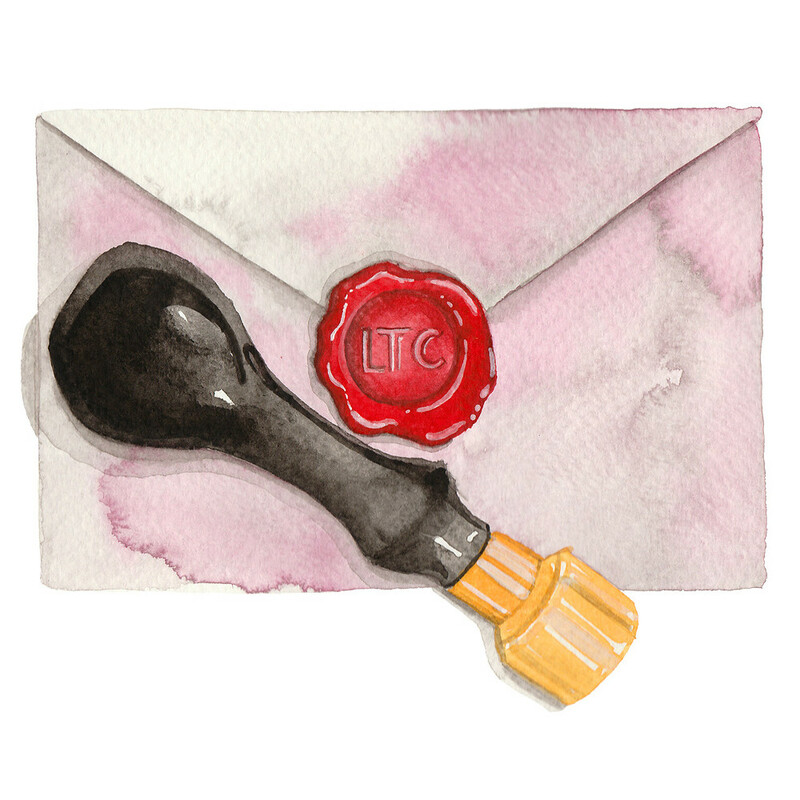 Join our mailing list to receive the latest news and updates and a coupon for 10% off your next order. Thank you for subscribing. Please use the coupon code WELCOME for 10% off your next order.